Proper meaty flesh inside that actually tastes like bubble gum! 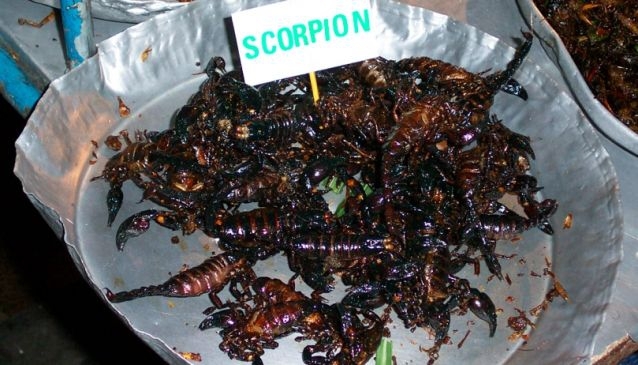 Once eaten out of necessity in Thailand, bugs and insects are now consumed by choice. 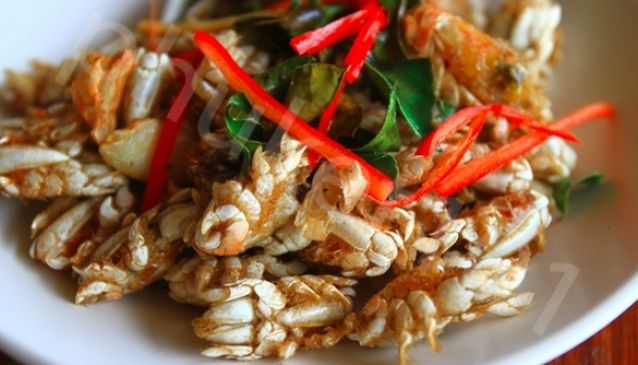 Part of everyday life around areas in the North such as Isaan, and common in tourist area street and food market attractions. 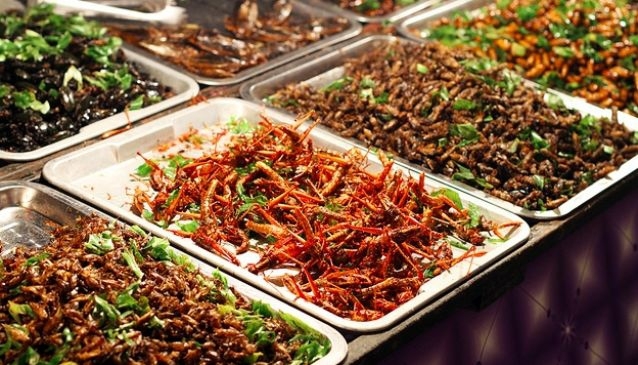 Usually fried in a wok and well seasoned with the likes of chilli, lime and garlic, insects and bugs are a great snack washed down with an ice cold beer. For those of you not game to give it go, but curious we decided it our duty as professionals to try some of these exotic snacks ourselves. 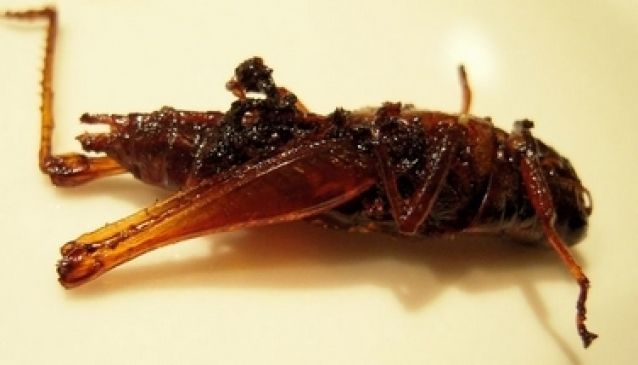 The most popular medium sized snack, crickets have a crunchy outside with a slightly soft centre, and slightly bitter taste. Definitely edible with a nice dry white. 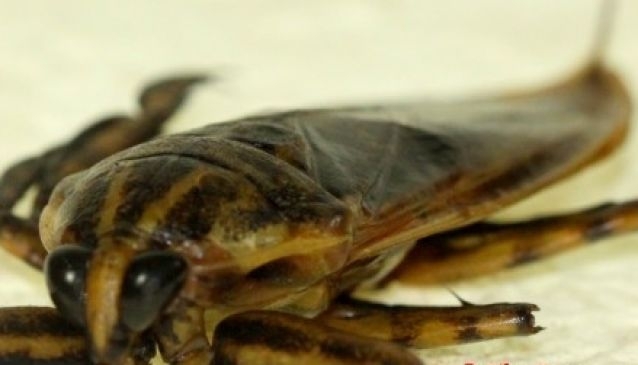 Jind Leed Khai (smaller crickets) maybe worth trying first for obvious reasons. 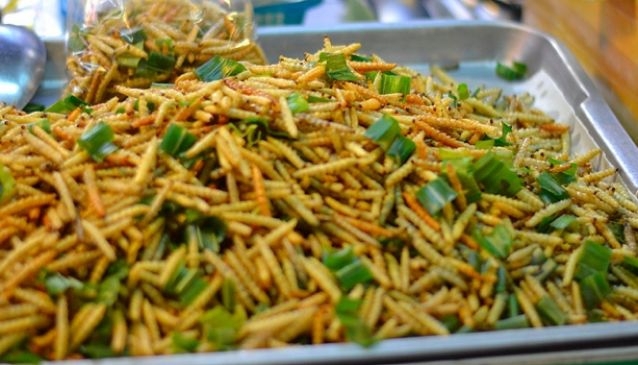 Bamboo worms are probably the most popular snack across the insect & bug board. These guys start out a little crunchy with a soft inside, salty and with a cheesy follow through. We actually enjoyed this one, a bit like a cheese ball crisp. This is definitely a beer snack. 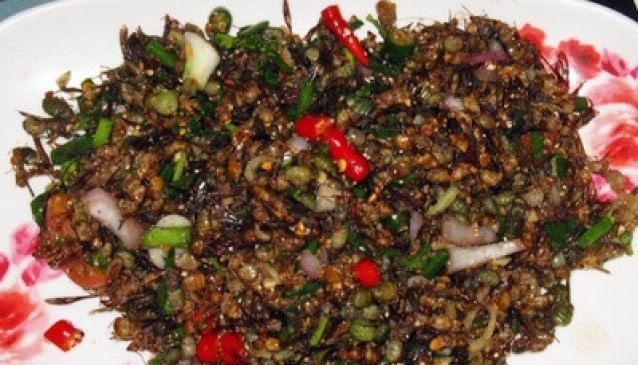 Known by farmers as a crop pest, these insects are happily fried up and sold off to vendors across the country. Super crispy with a strong bitter follow through. Probably go well with a sweet wine, we say any type of cold beer! These little fellas have got to be the easiest to try. Super small, soft, a little chewy and salty. You guessed it, wash it down with a cold beer! 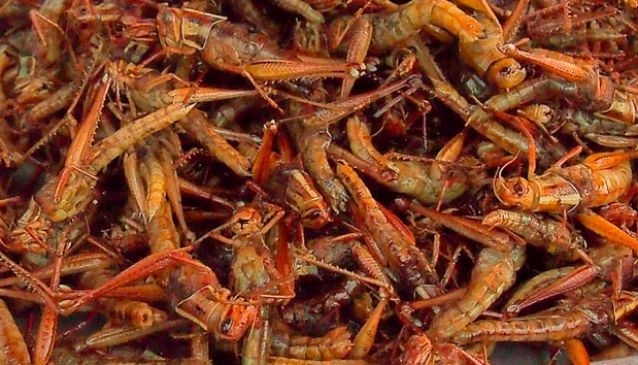 We actually found these tasty, a lot like shrimp and super crispy. Believe it or not, great with an ice cold beer! 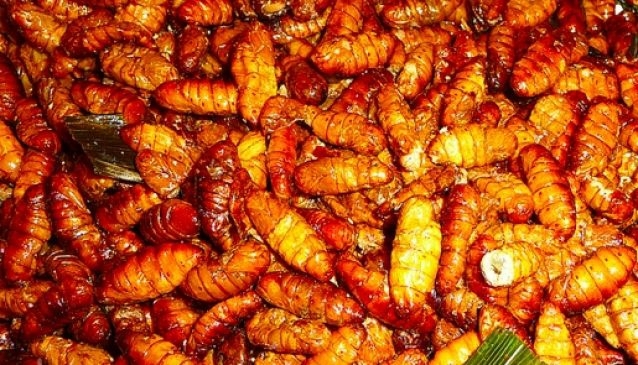 You might want to see how you go with the smaller bamboo worms, silk worms are not for the faint hearted. They're quite big, soft on the outside and inside. 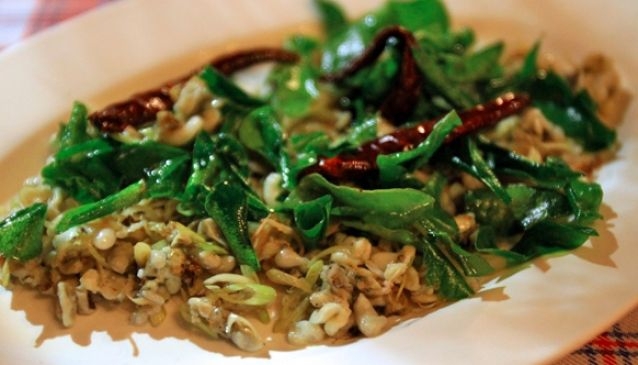 A pretty heavy taste, wash it down with anything that you can find! Nice and small, look like actual ants, soft with a nice sour taste. We'd suggest a nice cold beer with these eggs! Not too bad actually, crispy and tastes a little like greasy movie butter popcorn! Wash down with a giant cola!